Maple syrup time in the Outaouais is serious business! In the Outaouais, when it comes to maple trees, syrup and sugar shacks, we don’t mess around! With dozens of sugar shacks specializing in this sweet seasonal harvest, and restaurants featuring menus inspired by Quebec’s liquid gold, maple season is good to the last drop (of syrup)! Are you the “traditional” type? These old-fashioned sugar shacks and their delicious flavours are ready to welcome you! In operation since 1977, Cabane à sucre Chez Ti-Mousse is an institution in the Petite-Nation! The talented team at this sugar shack put maple in the spotlight with their traditional menu and quality syrup production. An atmosphere worthy of the sugar shacks of yesteryear reigns at the Sucrerie du Terroir! With its rustic decor, its servers in period costume and its traditional menu, this sugar shack is a definite winner. A sugar shack experience that will take you back to your childhood: hearty meals, winter activities and maple taffy! Treat yourself to a beautiful (and delicious) family outing at the Érablière Domaine du Cerf. 92 Des Pins Montée, Blue Sea. Daily except Mondays until April 28. Travel back in time at the Domaine de L’Ange-Gardien, thanks to their traditional menu featuring classic Quebec dishes. Make a full day of it: after you’ve visited the sugar shack, you can go tube sliding! In the enchanting setting of the Vignoble de Chelsea (Chelsea Vineyard), where nature meets rustic chic, celebrate the arrival of spring with some sweet treats! Enjoy a traditional sugar shack meal in a warm and welcoming atmosphere. Wednesday through Sunday until April 29. Dedicated foodies, celebrate maple in style: with gourmet dishes prepared by inspired chefs! The legendary sugar shack brunch is back at L’Orée du Bois. To give you just one example, the split pea soup contains duck (smoked in their smoker), and the croutons are homemade. I mean, seriously. Reserve now—you don’t want to miss out! Every Sunday in March and April from 10 a.m. to 2 p.m. Le Rituel puts a fresh spin on the traditional sugar shack. When a restaurant is lucky enough to have its own sugar bush, it’s obviously going to offer a menu featuring maple products! Have a look at Le Rituel’s three menus and your mouth will be watering in no time. Vegetarian options available! Until April 14. Brunch: Saturday and Sunday starting at 10 a.m. Dinner: Friday and Saturday starting at 5:30 p.m.
Reservations required for groups of 8 or more. This cozy bistro in Vieux-Hull features a maple-themed gourmet special! 100% homemade. You won’t find “table syrup” at Bistro Coqlicorne—that’s a promise. 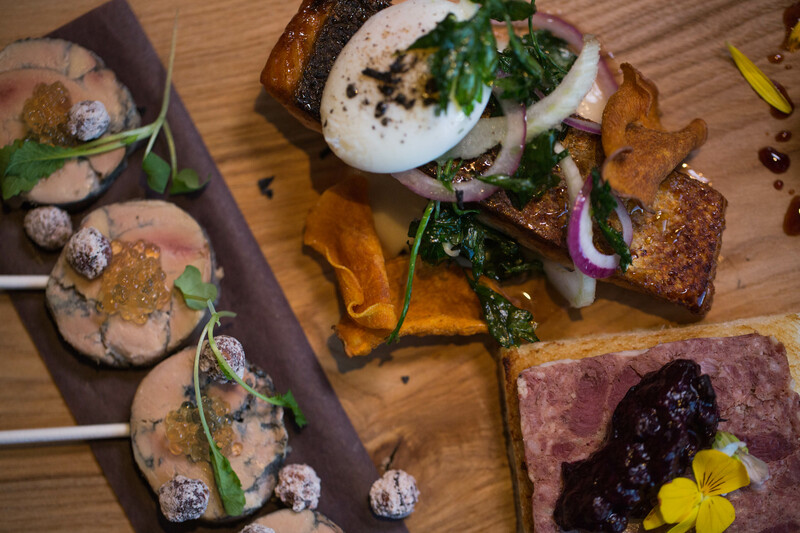 Celebrate all things maple at this wonderful restaurant in the Vallée-de-la-Gatineau. Savour a memorable culinary experience with L’Huile d’Olive‘s famous Maple Menu! 353 Du Lac des 31 Milles Montée, Bouchette. SUGAR SHACK IN OLD AYLMER! Make a stop in Old Aylmer and discover a supercharged atmosphere (because of all the sugar, maybe?). The sixth edition of this popular springtime event features more exhibitors and more entertainment than ever, all along historic Principale Street. 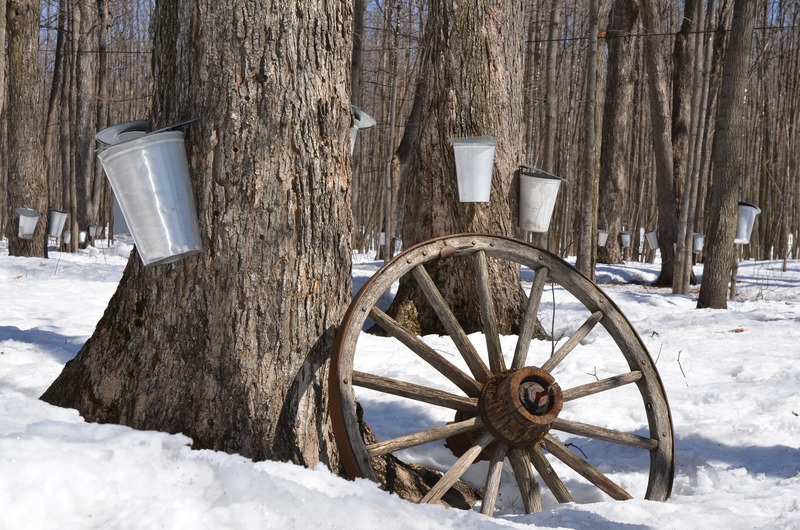 March 30 & 31 from 11 a.m. to 4 p.m.
And because you can never have too much maple syrup, click here for a list of sugar shacks in the Outaouais region! What are your must during maple season? A proud native of the Petite-Nation, I devour (and savour) anything that has to do with history, culture ... and good food. Fortunately, the Outaouais offers all that and more! From visiting the heart of our heritage to attending an outdoor show or sampling new products and flavours, I enjoy discovering and rediscovering my native region. A blissful weekend in Chelsea-Wakefield! Restaurants well worth a visit!